Morocco and Russia are looking to boost their diplomatic to ties as both countries seek to assert their diplomatic presence in solving global and regional challenges. Rabat – King Mohammed VI granted an audience today to Serguei Lavrov, the Russian foreign affairs minister. Lavrov, who is heading an important Russian diplomatic delegation, was hosted by the King after he had met a number of high-ranking Moroccan officials in the framework of diplomatic overtures between Rabat and Moscow. According to a pres release from the Royal Cabinet, exchanges between the King and the Russian diplomat revolved around the two countries’ readiness to push for more political and economic cooperation on an array of strategic issues in regional and global affairs. 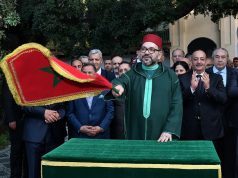 Lavrov’s high-stake visit to Morocco comes approximately two years after King Mohammed VI traveled to Moscow, an unprecedented move that sought to assert Moroccan diplomacy and seek more cooperation in untraditional places for Rabat’s diplomatic clout. Drawing on diplomatic inroads made since the King’s visit to Moscow, the Royal Cabinet’s statement noted that Lavrov’s audience with the King comes to seal months of negotiations to strengthen bilateral ties. “This audience is part of the broader in-depth strategic alliance sealed on the occasion of the King’s visit to Moscow in Mars 2016,” the statement said. 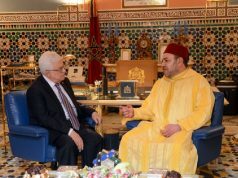 The statement mentioned the “historical significance” of the rapprochement mood between Rabat and Moscow, explaining that the King’s visit to Moscow has since paved the way for an “exceptional” partnership between the two countries. Sectors as diverse as fisheries, agriculture, energy, security, industry, and tourism, featured in Lavrov’s audience with the Moroccan monarch, emphasizing the need for further overtures in the Morocco-Russia partnership. Lavrov, who said he was satisfied with the visit and prospects of heightened diplomatic relations with Morocco, extended to the King “greetings and a message of friendship” from the Russian president Vladimir Putin. 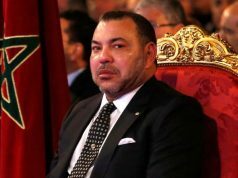 “For his part, King Mohammed VI extended an official invitation to President Putin to visit Morocco,” according to the press release. 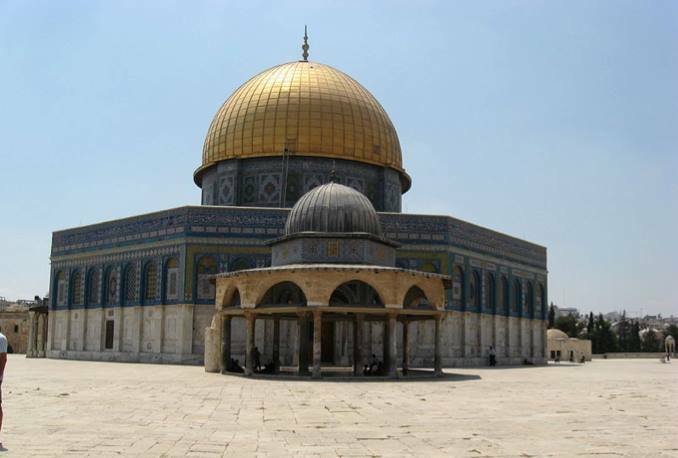 The statement suggested that the King’s gesture “reiterated” his commitment to working with his Russian counterpart to bring their two nations and governments closer in terms of dealing with global and regional crises.